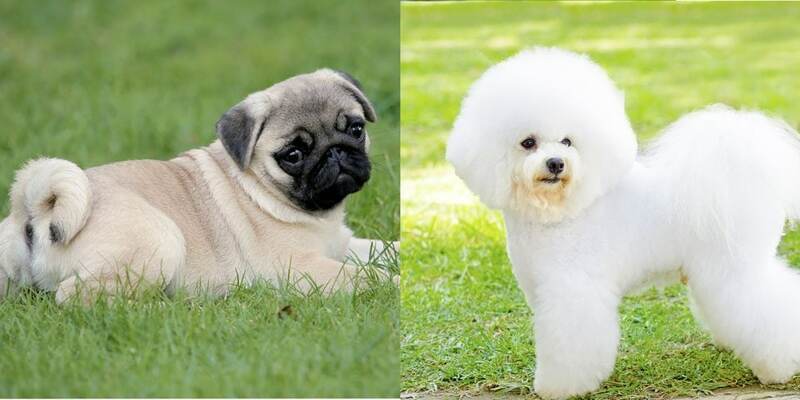 While the Poodle might be considered the King of cross breeds as it’s used so often in creating designer dogs, the humble Pug is catching up fast. With it’s easy-going, clownish nature and boundless affection for its family the Pug wins hearts where ever it goes. 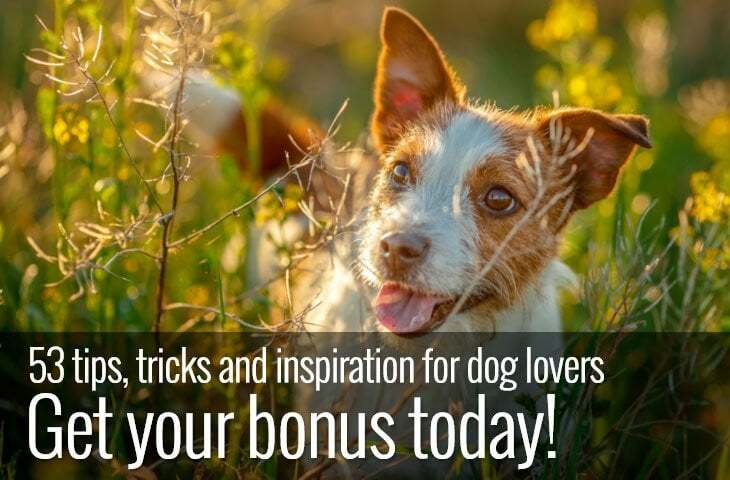 These delightful dogs are full of mischief, love to play and are a true companion dog. 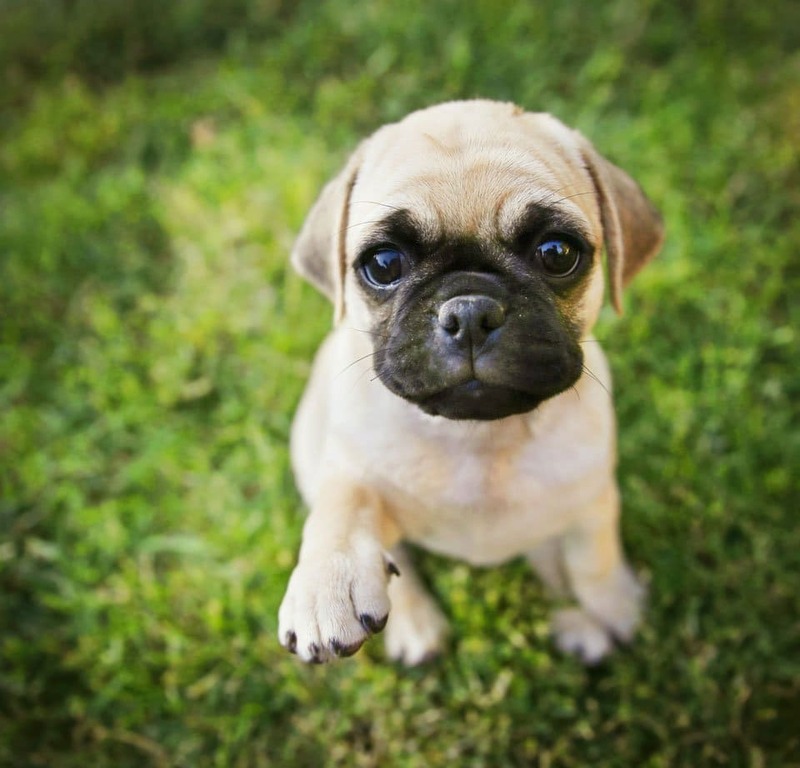 With so much going for it regarding personality Pug mixes are growing in popularity. 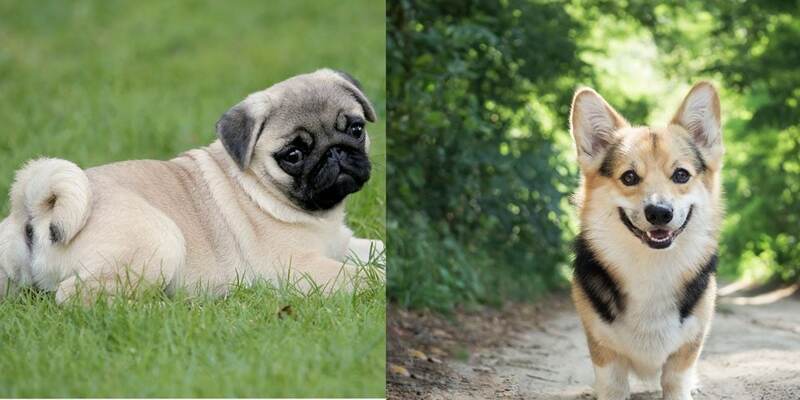 Not least because many believe that crossing these little dogs with other breeds will help eliminate some of the health problems Pugs suffer because of their extreme looks. Intelligent, sweet and adaptable the Puggle combines the fun-loving personality of the Pug with the amenable and gentle nature of the Beagle. Good as family pets due to their patience and tolerant character the Puggle tends to get along with everyone. 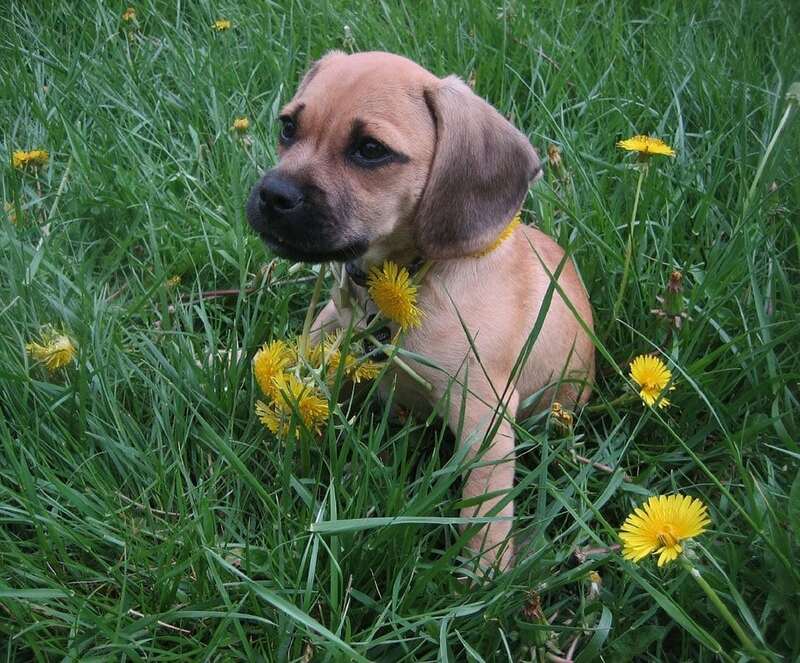 The Beagle parent gives the Puggle a desire to wander and dig, but their devotion to their family combined with their keen intellect makes this cross breed an increasingly popular choice. 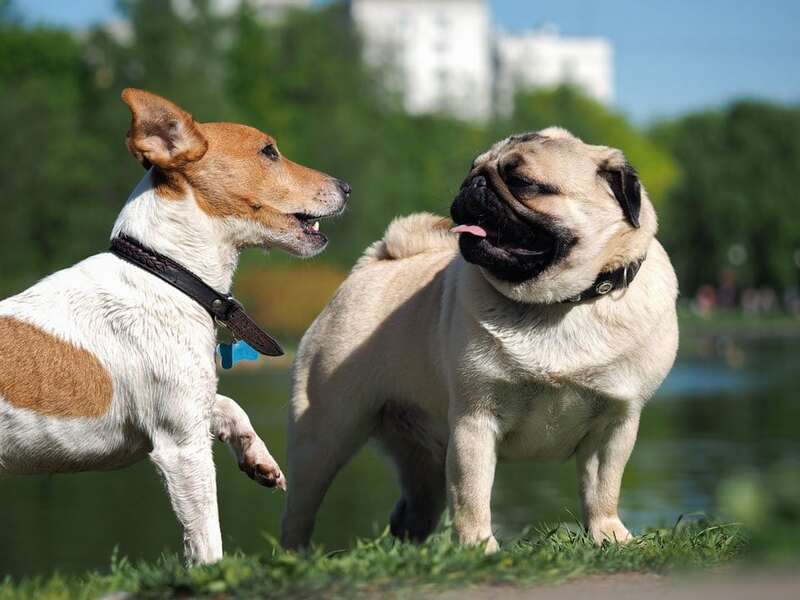 The Pug and Corgi share many traits not least that they like to have a good time. The resulting Porgi cross breed gets along with everyone and is happy, affectionate and intelligent. Outgoing with an independent streak the Porgi is not a dog that follows commands blindly. However, their devotion to their family softens their independent nature making them a popular choice. Both parent dogs have big personalities. On the one hand, you have the Pug who is affectionate, happy and fun-loving. On the other hand, you have the Chihuahua who is feisty, bold and protective. Combine the two, and you end up with a small dog that’s more than capable of looking after itself but prefers to welcome everyone as a friend. Loyal and devoted to their family the Chug can never the less be stubborn and gutsy. The Pug-Zu is a small dog with a big personality. 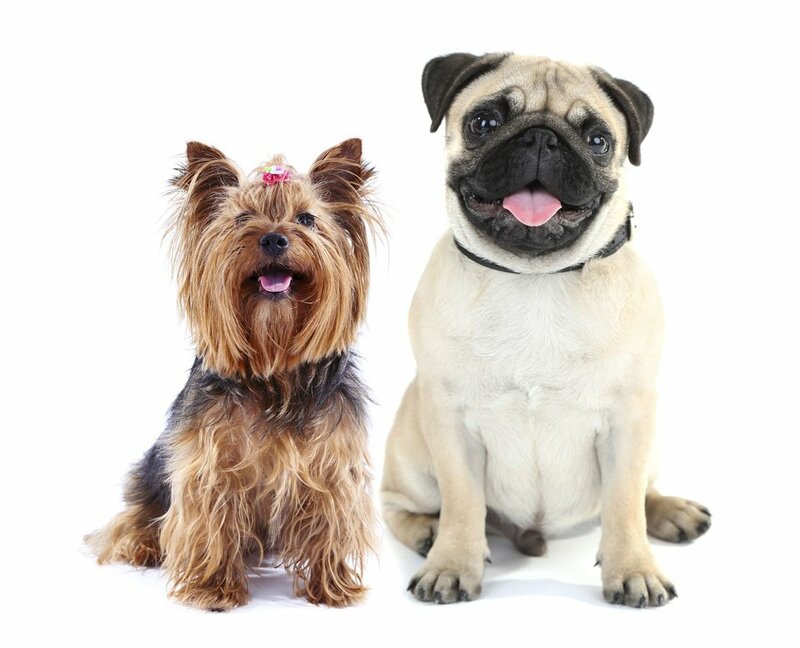 Confident, good-natured and playful the Pug-Zu is a devoted family pet. What’s more, this high-spirited dog makes a fun and sturdy playmate for children. The Pug-Zu is friendly to all and thrives in a family environment where they are the centre of attention. Curious and headstrong the Pug-Zu won’t follow directions blindly despite their intelligence. But their fun-loving and affectionate personalities more than makes up for the odd bout of stubbornness. 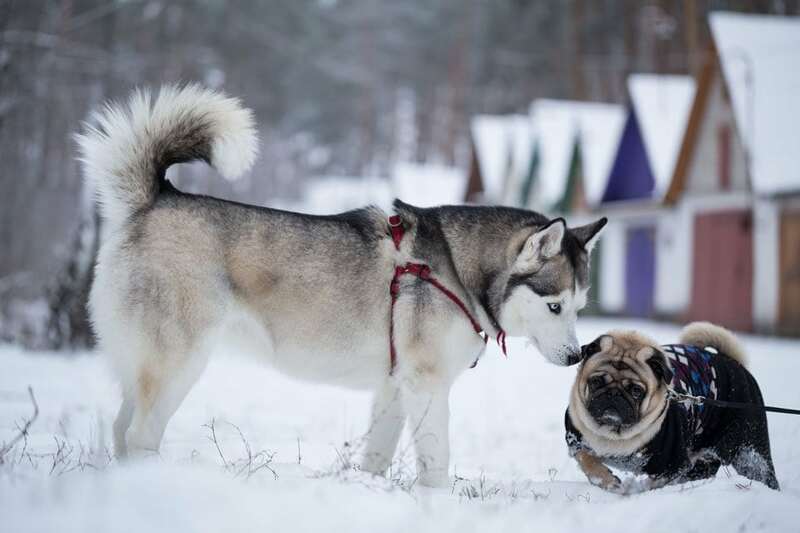 Crossing a Pug with a Husky might not seem the most natural choice, but the resulting crossbreed produces a small dog with bags of personality. Affectionate, playful and friendly to all, the Hug is a charming, funny and mischievous housemate. While there’s a lot to like about the Hug they do sometimes have a stubborn streak and high prey drive thanks to their Husky parent and get into trouble if they don’t have enough physical and mental exercise. Brave devoted and even-tempered, the Pushon is affectionate, playful and likes nothing more than being the centre of attention. Although friendly, the Pushon makes an excellent watchdog and will bark a warning when strangers approach. 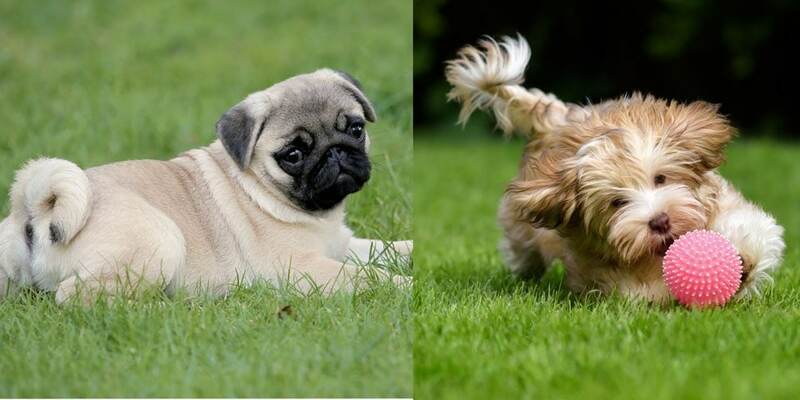 Lively and energetic these small dogs need regular physical and mental exercise to keep them happy. Eager to please their humans, the Pushon makes an ideal dog for an active family. Combine the clownish Pug with the feisty Jack Russell, and you get the Jug, a dog that is lively, intelligent and fun-loving. Jugs prefer a busy home that can offer them both physical and mental stimulation and thrive in an environment where they are included in family life. Bold and fearless with no idea of their size the Jug is never the less sweet, affectionate and social. People-oriented, affectionate and devoted the Pugapoo is a lively and energetic family pet. 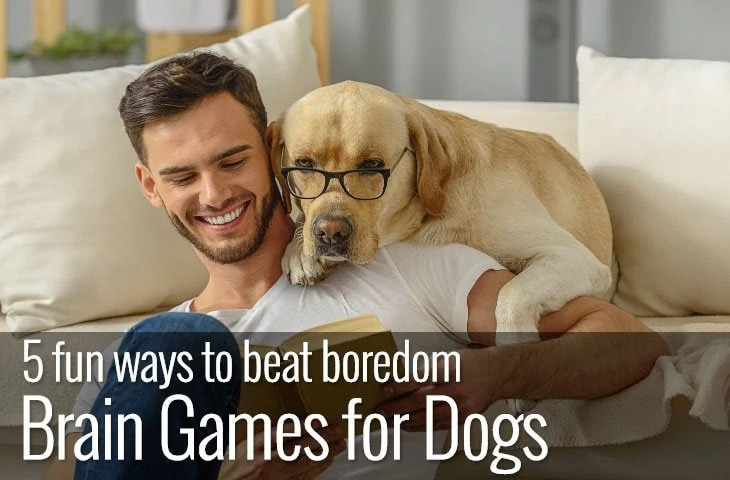 With a great sense of fun, these dogs are happy, mischievous and entertaining. Highly intelligent due to their Poodle parent they are easy to train and love to please their owners. Despite this, the Pugapoo can inherit the stubborn streak of the Pug parent and present a challenge to novice owners. Social and loving the Pugapoo is gentle with children and makes a good family dog. What happens when you cross the docile and clownish Pug with the feisty and protective Yorkshire terrier? Well, at its best the Pugshire is a devoted, easy-going and affectionate companion. Playful yet gentle the Pugshire is tolerant, mischievous and bold. On the other hand, this small dog can be stubborn, vocal, overprotective of its family and intolerant of other pets. However, this crossbreed is a popular choice for active families that want a small fun-loving and energetic dog. 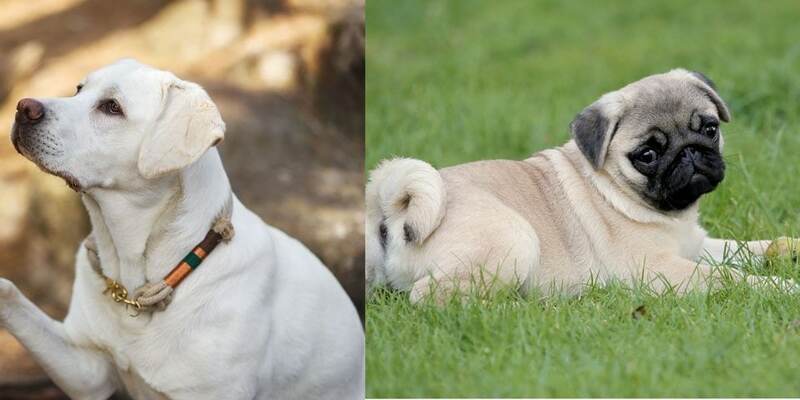 Loving, boisterous and energetic the Pugador combines the loyalty and athleticism of the Labrador with the comical and fun-loving nature of the Pug. True family dogs, the Pugador is devoted to people and does best in a home where someone is around for most of the day. With keen intellect, the Pugador is a combination of the free-spirited Pug and eager to please Labrador making training more of a negotiation than of giving commands. 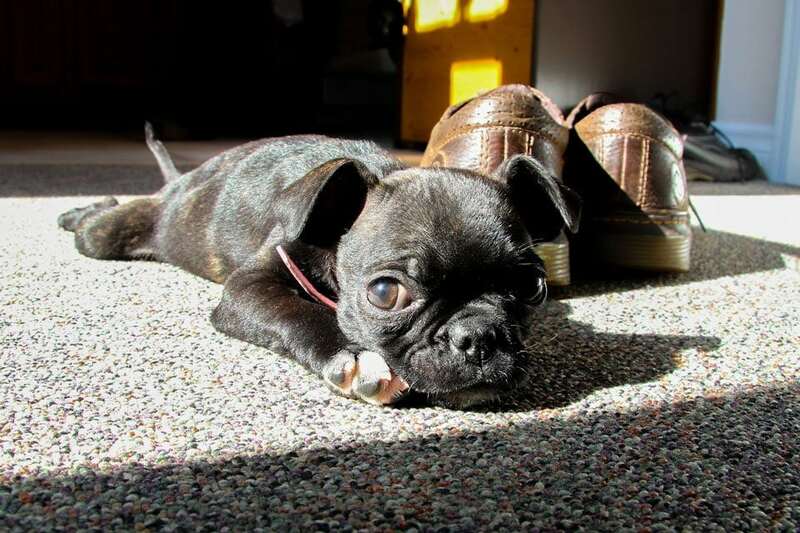 Lively, stubborn and goofy the Bugg is an affectionate and even-tempered combination of Pug and Boston Terrier. Intelligent and devoted, the Bugg never the less has a mind of its own and is selective about following directions. Playful with a roguish streak these dogs are charming and fun and thrive in a family that is around for most of the time. It’s easy to see why the Pug is gaining popularity as one half of a designer dog. 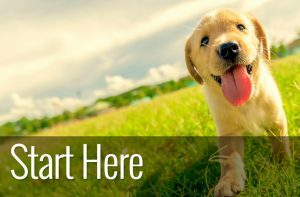 They are good-natured, comical little dogs with personalities much larger than their size. 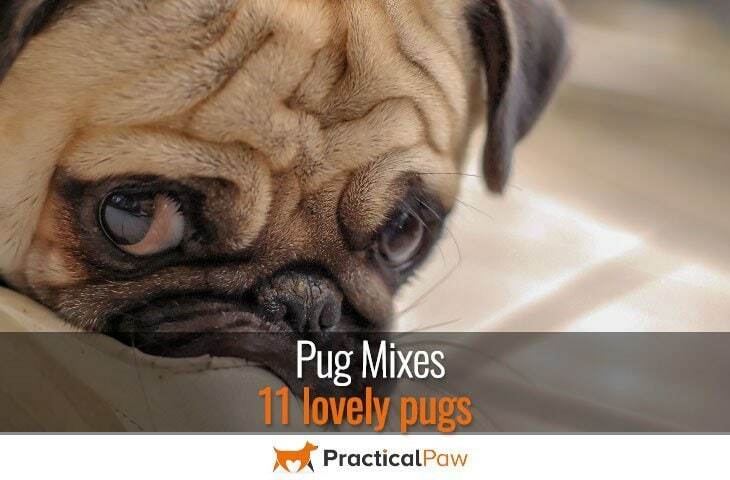 While some of the above dogs may seem an unlikely choice to pair with a Pug, the characters of each add something to the already charming Pug. 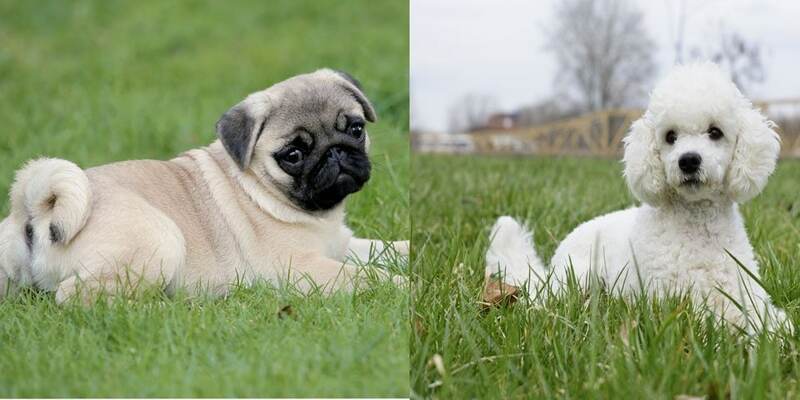 What’s more, breeding the Pug with dog’s that have little or no health concerns can produce a dog with fewer issues than that of the Pug who suffers from a number of problems due to its extreme looks. 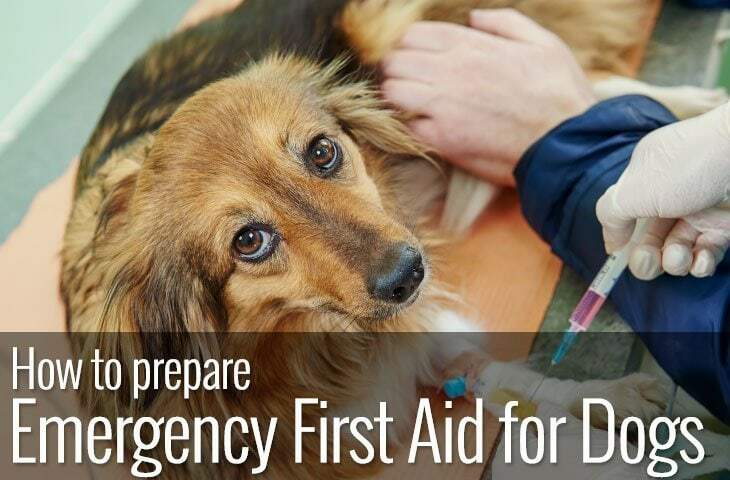 However, always pick a dog from a reputable breeder who has both the health and temperament of the dog at its heart.